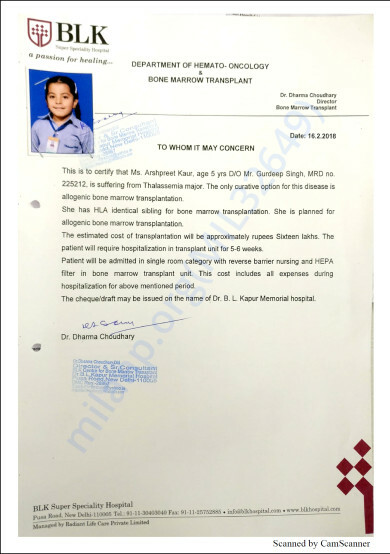 Arshpreet Kaur was diagnosed with Thalassemia Major when she was merely 18 months toddler. 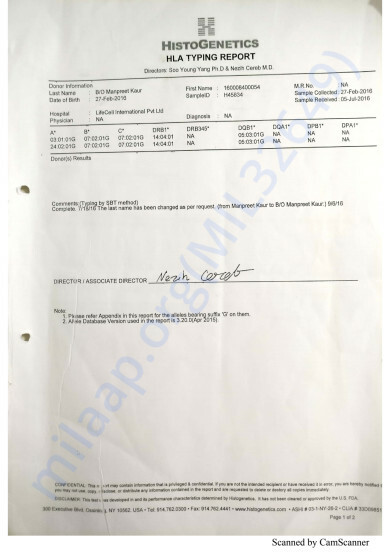 Her body stopped making required blood cells and her level went down day by day. Her oxygen supply is getting affected due to low Haemoglobin. 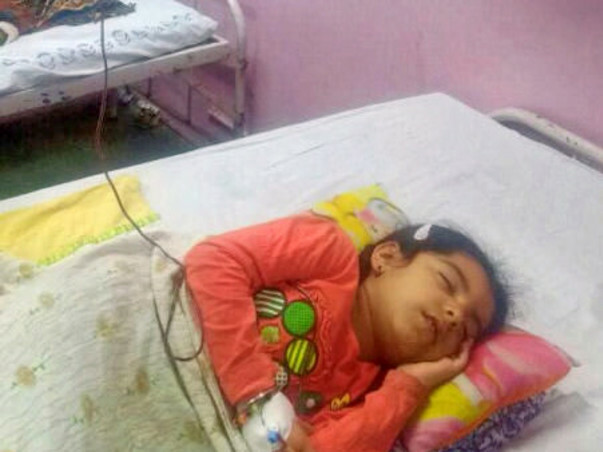 Since then she has been surviving on blood transfusion, which is required to be done once or twice in a month to maintain her Haemoglobin range, so that she can live a normal life as other child do. Earlier, blood transfusion was required in every 4 week but as she is growing up, her body is demanding more and more blood because of which she requires blood transfusion in every 2 weeks. She is only 5 years old and her body is totally depended on a regular blood transfusions and Iron Chelation Therapy. Size of internal organs get increased because Iron gets overloaded in patient’s blood because of regular Blood Transfusion. At present her Iron (Ferritin level) is on higher side which is 3600 whereas normal range is 50. If Iron gets overloaded in patient’s body it has a drastic and major impact on LIVER, HEART and other vital organs, which in turns leads to an organ failure. Please help me and my baby to live happy and healthy normal life as other babies have. And to lead a complete normal life she has one and only option i.e. BONE MARROW TRANSPLANT. Before Bone Marrow transplant she will have to go through 10 consecutive CHEMOTHERAPIES. This is a part of treatment where patient has to go through very painful and excruciating pain. Once BMT is done, donor’s Bone marrow will be infused in Arshoo’s body. It will be a physical and mental turmoil for Arshoo who is right now unaware of this heart wrenching and agonizing process. And as a parents we cannot even explain what we are going through. God has given us a ray of hope and by his grace, her bone marrow has matched with her younger sister who is 2 years old. This has given us a positive hope where we can see our baby happy and leading a normal healthy life as other children do. The money raised here will be used for her treatment which will be starting from April’18 onwards and estimate provided by hospital is Rs. 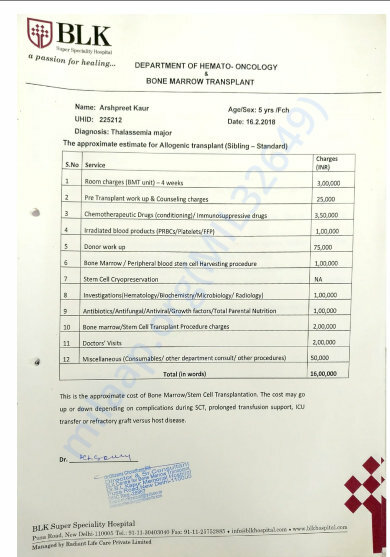 16, 00,000/- (16 Lakhs). There is a huge cost involved even after BMT , as there will be regular doctor visits and medicines. It’s a request from a mother to you all make donations to save my baby as even after completion of this treatment she needs an intense care and isolation for next one year and bi-weekly visit to a doctor for check-ups and other medications. Thanks a lot everyone for your extend support, wishes. My daughter has got discharged from hospital and now at home. She is bit fine than earlier but having pain and take time. Doctors are saying everything is fine so far. Need weekly visits to hospital to measures her blood cells and how they are producing.. Thank you all for your wishes and contirbution. She has been admitted to the hospital on 30th July. Her chemotherapies have been started and will be continuing till 8th August. She is doing well so far. I will keep you posted with next update. Thank you everyone for your good, warm wishes and your support so far. Her treatment has been postponed for 2-3 weeks now as both the daughters were unwell. I will keep you posted on her health and progress.